Recycling old junks not only saves the environment but also old junk that was once destined to get into landfills. While you recycle old things, you are making an effort to save the environment. Besides that, you are saving energy and preventing pollution by checking your desire to collect new raw material. Many people just throw away the trash, without knowing the use and benefit they can get utilizing it. In fact, people must get educated about recycling things to create new and unique arts from trash. Below are some of the incredible works of art, which you will not believe are made from trash. People who are not aware of recycling just throw things away. When things become obsolete, they just put them into dustbin without knowing the actual value of those things. Computer keyboard is one such thing that people usually throw away as soon as they become outdated or unusable. With little creativity, we can convert computer keys into beautiful and unique things. 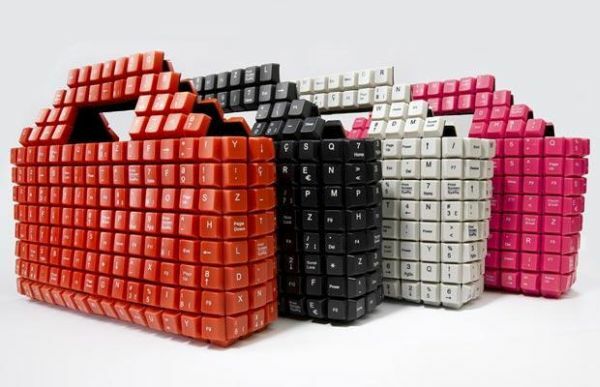 Just take out all those keys and stick them on the bag; and, the computer key bag is ready for you. Books are never useless, even when they are worn out. With his creativity, a man from Columbia created an igloo made from old books. In this artwork, he has used many books. 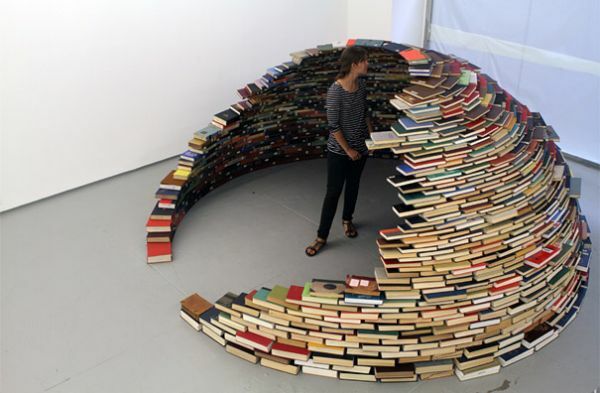 With this igloo, the artist does not only add to the décor of the home, but utilizes the books in the best way possible. Almost 5000 unique parts are used to make this robot. And all these things are just old parts of cars, dishwasher, television, car, and motorbike. 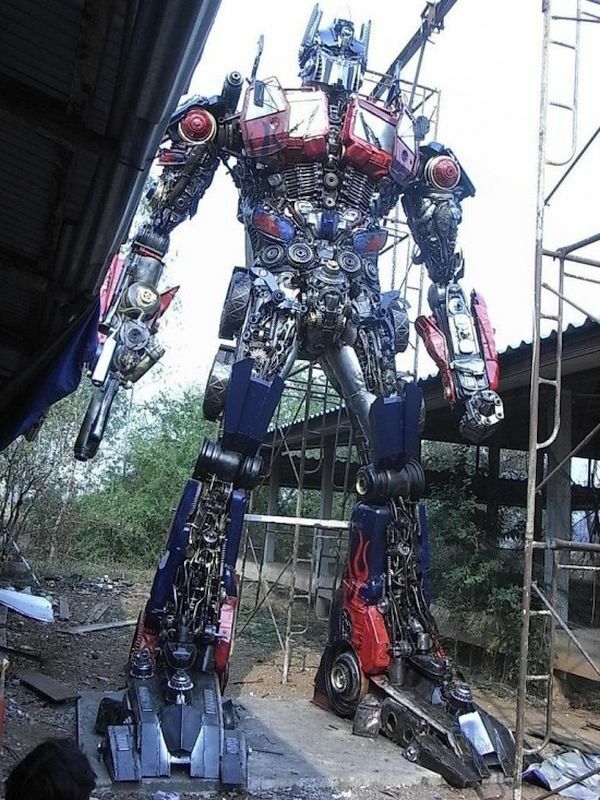 Dubbed Optimus Prime Robot, the unique artwork is all about optimum utilization of trash. Makers welded different parts and cut down the sharp edges of the robot for making them smoother. As circuit boards are quite attractive, creative people can think of their several uses. 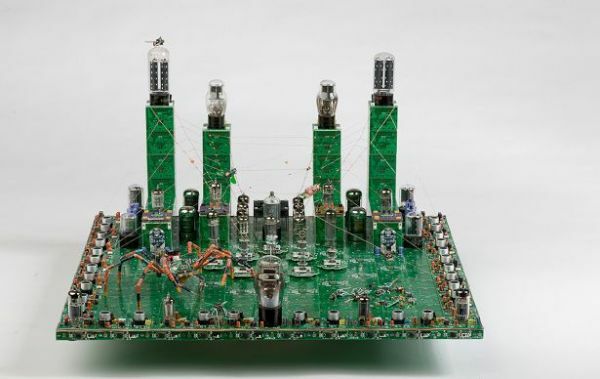 Steven Rodrig, an electronics repairperson, created some very great artworks from circuit board. Circuit board spider city is one of his arts, with which he has proved that anything can be recycled. As recycling is good for environment, one must think of ways to recycle old stuff into something creative. How would you like the idea of creating sculptures and artworks out of it?